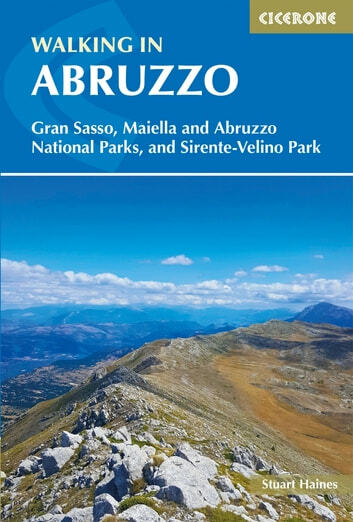 The essential guidebook for walking in Abruzzo, a wild and beautiful region of Italy which includes the Maiella and Gran Sasso national parks and Sirente-Velino regional park. 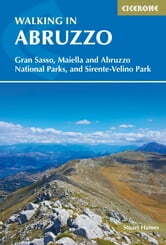 40 walks include the Val di Rose, the Prati di Tivo, and an ascent of Corno Grande, the highest point in the Apennines of peninsular Italy. Walks range from 4km to 25km and there are routes for all abilities. Alongside detailed route descriptions and maps there is advice on where to stay, access and parking information to get you to the start, and a useful Italian-English glossary. Despite being close to Rome, Abruzzo is one of Italy's least known and populated regions - a spectacular and harmonious blend of snowy mountains, grassy plains and forested canyons; of hillside olive groves, vineyards and long sandy beaches. Its stunning natural environments are protected in three national parks, one regional park and many smaller reserves. Thousands of years of history are reflected in a multitude of abandoned castles, hilltop villages and ancient farmsteads; religious dedication echoed in splendid abbeys, silent churches and remote hermitages.